The federal government has launched a number of videos encouraging young Australian women interested in science, technology, engineering and mathematics to consider a career in Defence. The launch of the videos is tied in to celebrate International Day of Women and Girls in Science, with Minister for Defence Personnel Darren Chester highlighting the possibilities that the Australian Defence Force offers. “Women account for 51 per cent of Australia’s population and are a critical talent pool within the areas of science, technology, engineering and mathematics,” Minister Chester said. “The Australian Defence Force is working to attract and retain more women to set up Defence and our nation for the future. 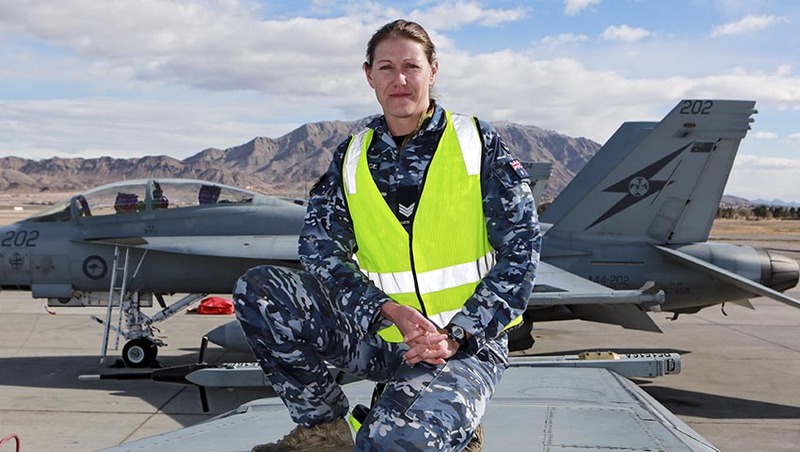 Women play an important role in operating and maintaining advanced technology in Australia's current submarine fleet, as well as "operating remote-controlled drones to keep our troops on the ground safe and flying and maintaining the fastest and most manoeuvrable aircraft in Australian skies". With the future submarine program, the demand is further growing for people with the "right combination of skills, resilience, personal discipline and teamwork to form the submarine workforce". “With Australia’s advanced submarines entering service from the early 2030s, girls currently studying STEM subjects at high school could become the future commanding officers of these vessels,” Minister Chester said. “Talented women are also part of the team of technicians keeping the first two F35-A Joint Strike Fighter aircraft in our skies. The ADF is an equal opportunity employer, offering both full-time and part-time opportunities with salary, training, vocational development and promotion opportunities aligning with peers delivering the same capabilities. The release of the videos comes at the same time that Minister for Defence Christopher Pyne launched the Local Action, Global Impact – Defence Implementation of Women, Peace and Security 2012-2018 report, in recognition of Defence's achievements in supporting the government's broader 'Women, Peace and Security agenda'. The report "captures Defence’s progress towards implementing the responsibilities outlined in Australia’s first National Action Plan on Women, Peace and Security", according to Minister Pyne. “The inclusion of women and girls as part of peace-building and conflict prevention efforts, strengthens societies and increases the likelihood of enduring peace,” Pyne said.